The Secret of the Hidden Scrolls is a new series from WorthyKids/Ideals. We received the first two books in the series for review. Brother and sister duo Peter and Mary, along with their dog, Hank, spend a month with their great-uncle Solomon. Uncle Solomon is an archeologist and therefore has lots of interesting artifacts in his home. Peter and Mary were reluctant at first to stay with their uncle, but after actually spending some time with him, they decided staying with him could be fun. After being alerted by Hank, the kids followed him into the library and shortly thereafter found the secret room containing the Hidden Scrolls. The Scrolls transport the kids and Hank back to Creation. They heard the voice of God as He spoke the world (and everything else) into existence. While witnessing this miracle, they became trapped in the water and the angel Michael came to their rescue. Once they were safe, he gave them the following rules . . .
Rule #1- You have seven days to solve the secret in the scroll or you will be stuck here. Rule #2- You can’t tell anyone where you are from or that you are from the future. Rule #3- You can’t change the past. To “solve the secret” means they have to translate what is written on the scroll from Hebrew to English. They go through Creation, day by day, as God creates it trying to figure out what the words on the scroll are. 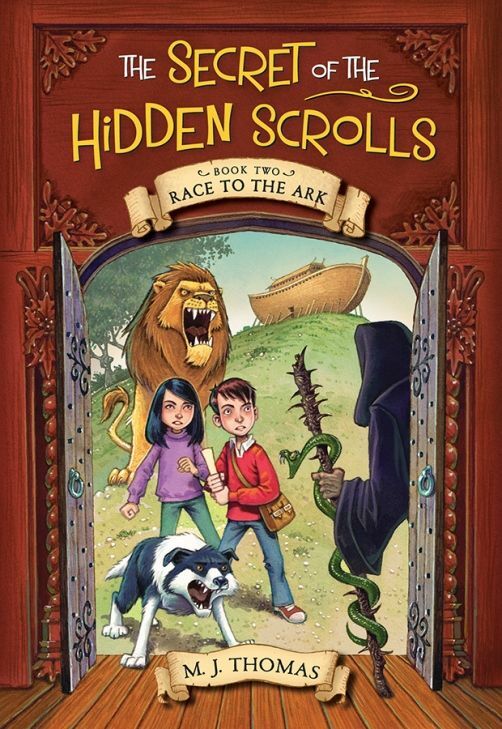 After a run in with Satan, disguised as a snake, and being rescued by Michael once again, the children eventually find the answers they are looking for. The worlds in the scroll were . . . God created everything. Once again the kids and Hank are transported back in time. This go round the kids are taken to Noah’s time. The kids make friends with Noah’s family and volunteer to help with the Ark. After a bit of monkey trouble, they get all the animals organized on the Ark. Like the first book, the kids run into trouble, get help from Michael (and God), and have to obey the three rules. But this time there are six words the kids have to figure out instead of three. Satan takes the form of the Dark Ruler in the town they find themselves. The story kind of follows the same lines as the first book, but it is still good. Throughout the book, the theme God will help us is repeated. So what did we think of the books? These books are great for independent readers or read alouds with younger children. I had my 15-year-old daughter read the books aloud to my first graders while they colored and I folded laundry. The books are roughly 100 page each with fairly large writing and many pictures throughout, so it only took us about four days to get through both books. I appreciate the encouraging messages in the books and the fun liberties the author took to get the kids interested in real Bible stories. 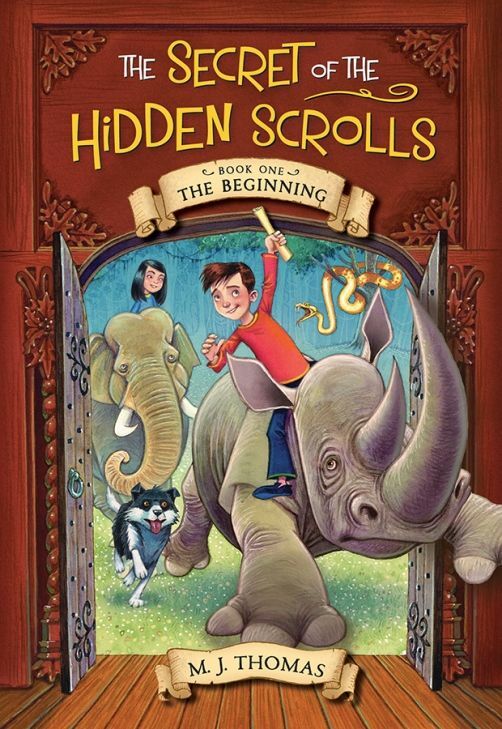 I completely recommend The Secret of the Hidden Scrolls series to families everywhere. Click the banner below to read more Crew reviews about The Secret of the Hidden Scroll series.